Daytona Beach, FLA: At 2:30 a.m. less than a handful of spectators peered through a continual drizzle as tens of millions of dollars of high-end automobiles wove in and out of the greasy, wet track during one of the most important races in the world: the Rolex 24 at Daytona. We were guests of Porsche Design, part of a posse of journalists, retailers and well-heeled fans who had been gathered at the race for Porsche Design’s first ever sponsorship of Porsche Motorsports. Porsche Design wanted to ensure that the world knew they were intrinsically connected with the auto manufacturer in more than name only. 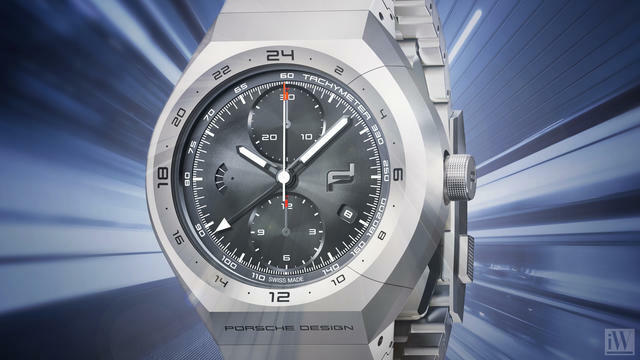 The end game was a Mobius strip link between the new Porsche 911 RSR and the new Porsche Design Monobloc Actuator watch. Porsche Design as a standalone company has existed since the early 1970s. Founder Ferdinand A. (F.A.) Porsche established the product studio to extend the Bauhaus design sensibilities that he expressed so brilliantly in the original Porsche 911. During the past forty years the company has produced everything from jackets to backpacks, smartphones and kitchen cabinetry. However, two products have emerged to define it: black watches and sunglasses. In 1972 Porsche Design released its first product, the Chronograph 1, often considered the world’s first all-black watch. This automatic chronograph, sporting a Valjoux 7750 movement, was released during the dawn of the quartz era. F.A.’s stance on this was ephemerally Teutonic: “Wristwatches represent a set of values not equaled by quartz crystals.” Over the years, Porsche watches were built in conjunction with a number of manufacturers, specifically Orfina, IWC and then Eterna. F.A. did not hold a patent on the evocative black watch design, and competitors soon emerged. During the same year (1972) Longines released its LCD (Liquid Crystal Display) quartz watch, featuring a similar Bauhaus stylized black dial in a sloped, rounded case, ironically reminiscent of the portly hump of the Porsche 911 predecessor, the 356. The watch won an impressive IR 100 award (Annual Industrial Research Conference Awards). While black watches are common today, virtually every one can trace its lineage back to F.A’s original vision. In the late 1970s Porsche Design would release a second iconic product, the P’8478 interchangeable lens sunglasses. This spawned a product line that eventually eclipsed the watches in notoriety. While F.A. was probably hoping for a Steve McQueen-type racing/celebrity to embrace his glasses, he got Yoko Ono and the Kardashians instead. As a consolation however, McQueen did drive a Porsche 908/02 in the 12 hours of Sebring race, and was a known Porsche Design aficionado. Over the decades, the company’s success as a full on design studio extended beyond luxury goods. By 2015 it had amassed an impressive 190 awards, including a prestigious International Red Dot product design award for the Timepiece No. 1, the first watch that the company designed completely in house. But Porsche Design hadn’t brought us to rainy Orlando for a history lesson. 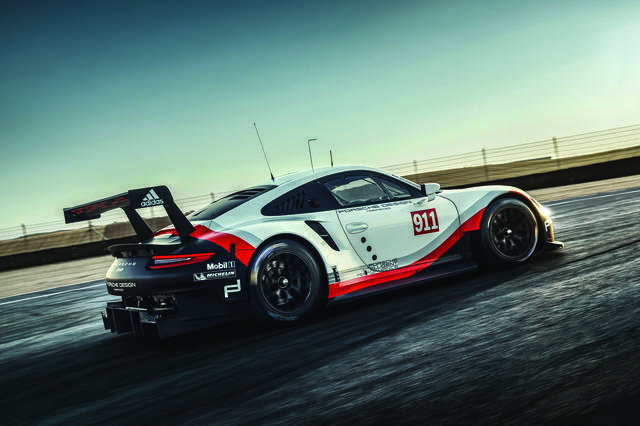 This trip was about the road that lay ahead, and the company was taking the opportunity to align its future with Porsche by introducing its sponsorship of Porsche Motorsports during the launch of Porsche’s newly developed mid-engine 911 RSR. It was a well-choreographed showcase for a new watch that reflects the company’s ability to innovate while paying homage to its original DNA. After a generous 24 hours of eating, drinking and unparalleled backstage access to the race, Porsche Design representatives presented their guests with a discourse on the link between the new Monobloc Actuator and their cars. Honestly, every buyer should receive a copy of the PowerPoint to effectively make the connection. After listening to multiple speakers, from various divisions construct their case, the Strangelovian logic tree growing between the watch and the car became clear. It’s likely most consumers who purchase a Porsche Design watch because they want people to think they own the car will miss the quixotic connection between the company’s products. Frankly, while both timepiece and automobile stand alone on their own well-polished bearings, understanding the relationship makes the ownership experience deeper and more intellectually rewarding. 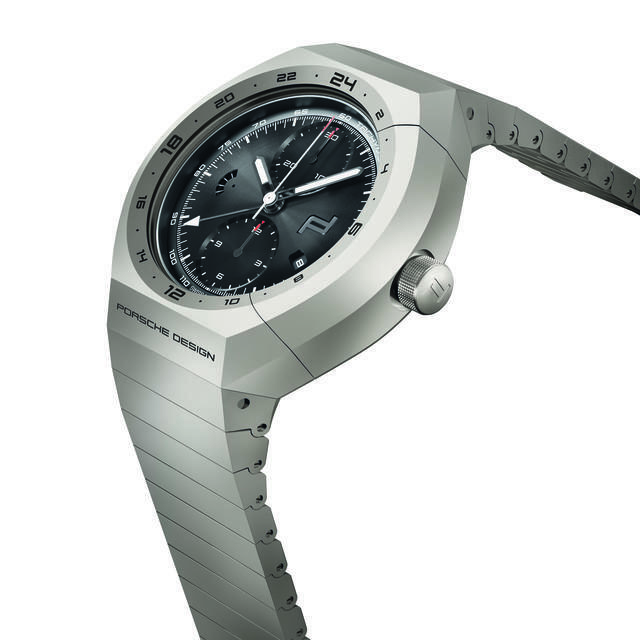 By 2014 the concept had moved from thought to design, and Porsche Design engineers began experimenting with various methods of integrating the chronometer’s pushers into a monolithic styled case with pivot-mounted actuation. To complete the connection with automotive engineering, the mechanism’s construction was designed in the same manner as the valves controlling Porsche’s racing engines. The pushers are actuated by an integrated rocker arm mounted centrally on the right side of the case. “The rocker is moved towards the center like a cam on the cam shaft. The switching pressure is transmitted to the hardened shafts of the special pusher (like valve stems) by two carbide lozenges, (like chips). Special seals ensure that there are no leaks in the system,” according to Porsche Design. The entire case operates as a sealed unit, so that the mechanism can be safely operated underwater. The pushers form an integral part of the case construction and seemingly disappear until a user calls for activation. The entire mechanism is derived directly from the operation of an engine, creating a holistic engineering aesthetic between man, watch and automobile, as the action of human body is itself a study in skeletonized cams, pivot points and actuators. The watch, rendered in titanium and available in the native grey and F.A.’s black (of which he originally commented was “a condition, not a color,”) fits well on the wrist. At 45.5 mm x 15.6 mm, you’ll know you’re wearing it, not in an obnoxious Panerai way, but in a “I’d like to peek out from under your sleeve” manner. With an anti-reflective coated sapphire crystal and tough titan-carbide coating, the watch, which was stress tested in the pits during the race itself, is designed as a tool. Like the original Chronograph 1, the new watch is powered by a Valjoux (7754) movement. Optimistically, Porsche Design anticipates making its own movement one day. Given what they’ve done with the actuator, an entire movement would be a treat in Teutonic technology. If the spirit of F.A. still permeates the brand, that future may be just a few racing seasons away.